Purchased this dress for $5,000- asking for $3,000 or best offer. 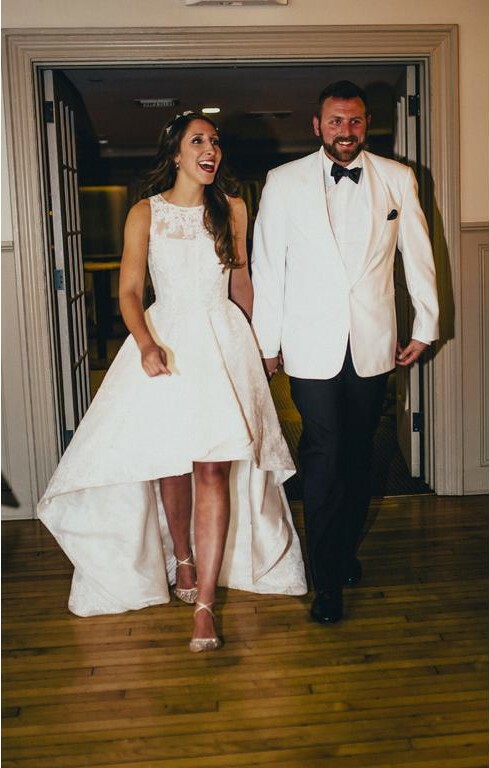 This beautiful dress was worn on my wedding day a year ago in March. It has been professionally dry cleaned and kept in the bag. Hi-low gown with a breathtaking train! Faux buttons on the back with a hidden zipper. The gown is ivory with full lace! I'm 5'8 without heels but wore 4" heels on the day of- dress is altered to that length so the dress wouldn't drag on the floor. Pictures do not do this dress justice- it's a serious show stopper! I love my dress but would love to help another fashion forward bride make their day! Once you send a message, Alexandria can invite you to purchase the dress.